Plenty! Here are some suggestions about items to donate and ways to volunteer. The suggestions are based on what many local animal organizations and animal control officers typically need. Please note: It’s always a good idea to start by checking with your local rescue group or shelter to see what kind of help they really need, Some groups may be desperately in need of materials, like dogs beds, that you’d be willing to provide. Another group may benefit more by getting help with publicity. Checking with the staff first ensures that your donation or service will genuinely be of help to the organization. How can I find a local shelter or humane organization? If you mailto:animalhelp@bestfriends.org , we can provide a listing of Best Friends Network member organizations in your local community. 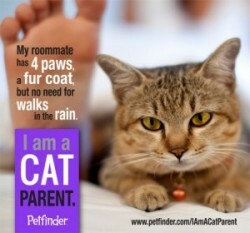 You can also contact Pets911 to find local groups and animal control shelters. 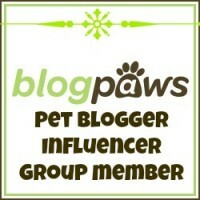 Visit their website at http://www.pets911.com or call them toll-free at 1-888-PETS911. You don’t have to spend a lot of money. Perhaps you are no longer using some of these items around the house, or you may spot them at a yard sale or thrift store. Doghouses. If you have an old doghouse that isn’t being used, you can clean it up and pass it along for a dog in your neighborhood who could use it. Or give it to your local animal control agency and ask that it be given to a needy dog. Sometimes feral cat groups can refurbish and use doghouses. Office stuff. The next time your office is upgrading equipment, computers, or furniture, ask about donating the old stuff to the local shelter. Basic office supplies are often needed, too. Coupons. Some shelters can use free or discount coupons for animal food or cat litter. Medical supplies. Many spay/neuter clinics and some shelters can use medical supplies. Humane traps. Feral cat caregivers are often in need of more humane traps for transporting cats to and from veterinarians for spay/neuter. Use of a photocopier. Many groups cannot afford a copy machine and would appreciate an opportunity to duplicate flyers and forms. Prizes for fundraising auctions or raffles. Many organizations can’t afford to buy prizes for these events, so they appreciate any donations. Part 2 – Things You May Want To Do – Found Here! Previous Previous post: Time to Rub the Kitty – Cats The Boss Officially “Open”!